Hello everyone! Well this is all very new for me, but welcome to my blog page on my lovely sparkly new website! This is the chance for me to share with you about ideas for developing the jewellery that you wear, about new items I am busy working on and creating and about events I am going to, so you can pop in, say hello and see my work all for real for yourself. 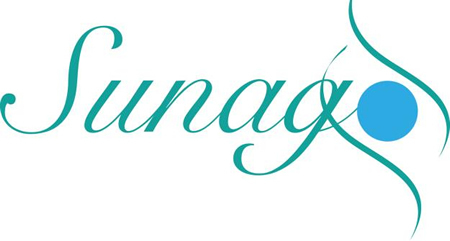 I am Fiona Jones and I set up Sunago Unique Creations in June 2013. It grew out of my enjoyment of creating, especially jewellery, which I have been doing since before my age was in double figures! The first pair of earrings I remember making were polymer clay penguins, which I made when I was about 12. Although I have not seen them for a number of months, I am sure that they are still around somewhere! When I was a student, I had the opportunity to make some wooden beads (that’s a long story in itself), which I also turned into earrings and enjoyed making necklaces and chokers for me to wear as everyday jewellery. This creativity has developed since and, when my life changed hugely a number of years ago, it is not surprising that using my ability to be creative came to the fore and I used it to bring me back and to the place where I am now (more of that in a magazine article, http://www.womensbusiness.club/shop #7, with the dark cover). Now we are on website number 3 and this is your chance to join in. Let me know what you think and I will endevour to do my best to keep you up to date with my world!